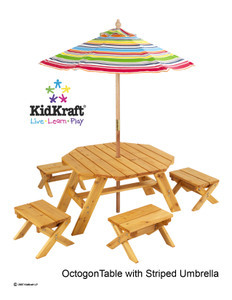 Kidkraft Furniture affords your kids the opportunity to enjoy the sun and get some fresh air but you'll want to know that they're safe from harm while out playing. Children's outdoor furniture includes table and bench and kids table and chairs sets and other items such as Gorilla Playsets and children's playhouses provide a fun and healthy way to enjoy the outdoors. Whether it's for dinner time under the sun or as somewhere to sit and draw or play outside, table and chair or table and childrens benches or an outdoor playsets. Made from natural wood, our outdoor playhouse includes a waterproof roof to keep off the sun or light rain and there's ample room for four or more children to play and imagine. What better way could there be for your child or children to enjoy the summer months than playing in their own Tortuga playhouse? The wooden playhouse comes ready treated so there's no need to stain or paint it and the weather resistant roof means that it can be left outdoors even when it starts to rain. Bright colors and good looking design make the Quinze and Milan pouf stool an instant success with the children and probably a few of the adults too. Playsets are huge outdoor activity centers that include features like from the Gorilla Playsets Big Skye with maintenance-free, premium preserved pine poly coated wooden beams, tongue and groove wood roof with sunbursts, dormers, and chimney. Safety pads are added to ensure that your son or daughter is always safe when they are playing on these strong and sturdy garden additions. Play tents will always be a popular addition to the garden and offer healthy, outdoor fun for children of virtually all ages while looking great and being the perfect complement to children's outdoor furniture sets. Modern kids stools from My Urban Child allows your child or children to enjoy the outdoors sitting with you or on there own. Playhouses and playsets are also a great way for them to enjoy physical exercise while having fun and all childrens furniture and outdoor playsets are designed to look good in your garden as well as providing something fun for the children. 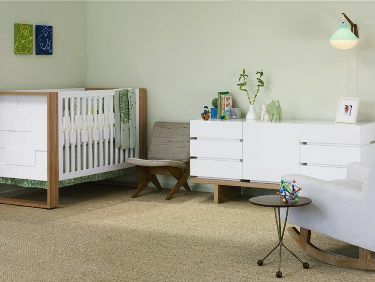 As well as offering a full range of modern baby furniture and kids bedroom furniture, My Urban Child also has baby furniture sets and accessories including toddler accessories, blankets, and even bibs and baby diaper bags. Our extensive baby furniture collection is designed to provide you with everything you need for your nursery and for your baby. Quality - We sell merchandise from the top manufacturers in the world, from the European modern furniture designer, Quinze and Milan to lighting by Offi &h Co to Spot on Square modern children's bedroom furniture. We stand behind the quality of the products we sell.